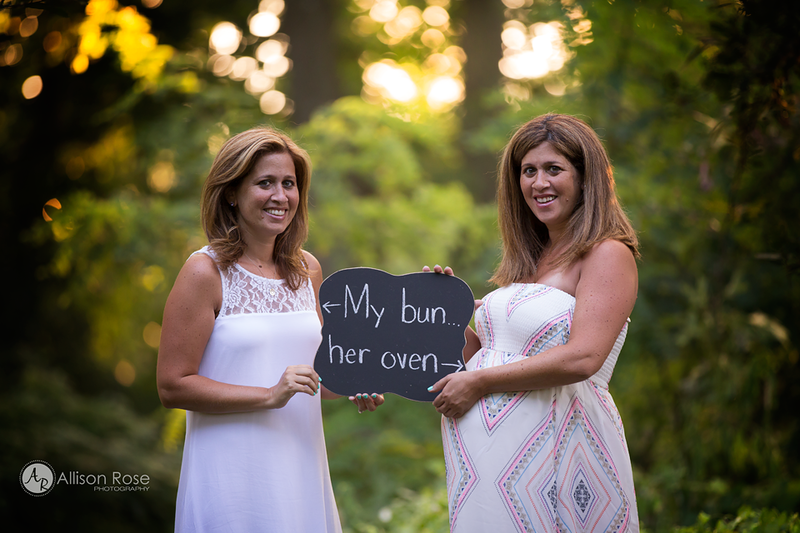 The news of a pregnancy is reason enough for a celebration, but when a Long Island, New York, photographer heard about her longtime friends and their heartwarming pregnancy story, she knew she had to reach out and congratulate them. Allison Ardolino Dinkelacker was diagnosed with breast cancer during her first pregnancy. She had to begin treatment immediately, and delivered her healthy baby boy about 10 weeks early. Her twin sister Dawn Ardolino-Policastro accompanied her to a doctor’s appointment where Allison was told she could never have another child due to the nature of her cancer. Dawn immediately said that if she wanted another baby in the future, she’d carry the child for Allison and her husband. And six years later, she did.